Emerald Twilight, one of the most controversial comic book stories of all time, would offer a solid base for the Green Lantern Corps movie to build upon. This may seem counter-intuitive, given that the story of Emerald Twilight centered around the destruction of the Green Lantern Corps, but the story would also offer a clean slate that is sorely needed after the failure of the last Green Lantern movie. Indeed, an Emerald Twilight movie could potentially serve as the basis for restarting the entire DC Extended Universe. 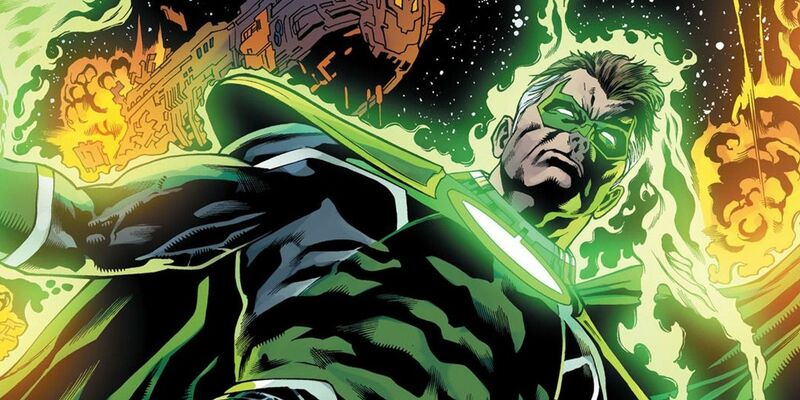 Early reports indicated that the initial script drafts for the upcoming Green Lantern Corps movie included the death of veteran Green Lantern Hal Jordan – the first Earthling to join the Green Lantern Corps. This idea was apparently a deal-breaker for actor Tom Cruise, who was up for the leading role. 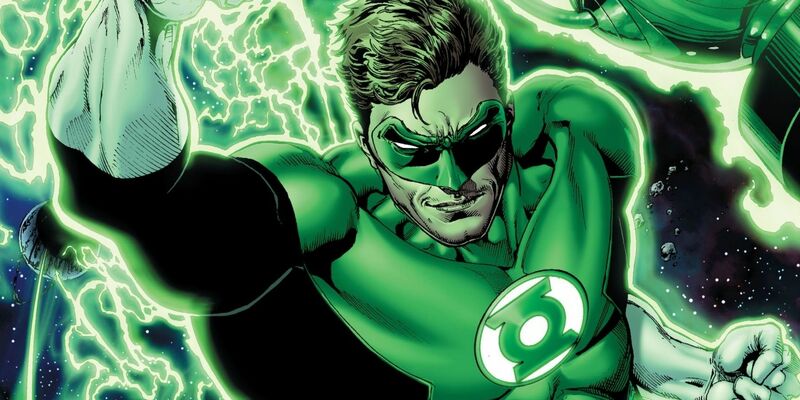 An adaptation of Emerald Twilight could address Cruise’s complaints about the original story idea, if Warner Bros. is still committed to having Cruise bring Hal Jordan to life. Even if they are not, or Cruise is still not interested, it would present a story unlike anything seen in any superhero movie before – spinning a tale of a hero’s corruption and downfall, while leaving the door open for their eventual redemption. Using Emerald Twilight as the start of a new Green Lantern franchise would also allow screenwriter Geoff Johns to hasten the circumstances that helped him to establish his own stories in the original comic books. Johns previously developed an entirely new mythology for the Green Lantern Corps during his legendary decade-long run on the Green Lantern monthly comic and it would be easy enough for him to repeat the feat and reestablish The Corps in a new form for the movies. If nothing else, the core idea of Emerald Twilight would offer a fantastic avenue for introducing the concepts that Johns eventually built upon. It would also allow Johns a chance to more naturally introduce his original characters, such as Simon Baz and Jessica Cruz, to a wider audience. Emerald Twilight originally spun out of the events of The Death of Superman and The Return of Superman, which saw the town of Coast City, California completely destroyed by the villain Mongul. Emerald Twilight opened with Hal Jordan struggling to cope with the destruction of his hometown and the death of most of his family. After trying to use his powers to resurrect the city and all the people who lived there (albeit as constructs of solid green light), Jordan was taken to task by The Guardians of The Universe – the ancient alien race who organized The Green Lantern Corps and created the willpower fueled rings and batteries that provided them with phenomenal cosmic powers. Claiming that Jordan’s actions were a violation of cosmic law, The Guardians demanded that Jordan relinquish his ring and his position within The Green Lantern Corps. Refusing to surrender and rebelling against The Guardians, Jordan assaulted the Guardian home world of Oa with the intention of taking the power he needed to permanently restore Coast City and the people who had needlessly lost their lives during Mongul’s attack. Jordan faced many of his fellow Lanterns en route to Oa, defeating them easily and taking their rings. In a moment of desperation, The Guardians resurrected Sinestro – a former member of the Green Lantern Corps and one-time teacher of Hal Jordan, who had become corrupted by his own power and also rebelled against The Guardians. Jordan was barely slowed down, as he snapped Sinestro’s neck with his bare hands, vaporized fellow Green Lantern Kilowog with his ring, and entered into the Central Power Battery that fueled all of the Green Lantern rings in the universe. Absorbing the power of all but one of The Guardians from within the Central Power Battery before blowing it up (an action later revealed to have killed many Green Lanterns), Jordan dubbed himself Parallax and embarked upon a crusade to save every innocent who had ever died unjustly in the history of the universe. This led into the Zero Hour event, where Hal Jordan fought his former friends as they attempted to stop him from hitting the cosmic reset button on the DC Comics Universe and establishing an infinite series of worlds where everyone could have a happy ending. Naturally, Hal Jordan was unsuccessful but he did survive the battle and went on to become a reoccurring enemy to Kyle Rayner – an artist from Earth, who had been chosen by the Last Guardian, Ganthet, to be the wielder of the only still-functioning Green Lantern ring in the universe. Parallax would later achieve a measure of redemption through another pair of comic book crossover mini-series. The events of The Final Night saw Hal Jordan making peace with his most of his friends and loved ones, before sacrificing himself to destroy an alien monster called The Sun Eater and reignite Earth’s near-dead sun. Later, during the storyline Day of Judgement, Hal Jordan’s spirit became the new host of The Spectre – a literal angel of vengeance, who bonded itself to the ghosts of men who sought to see justice done. As strong-willed as ever, Jordan attempted to subvert the will of The Spectre, and aim its mission towards redeeming the wicked rather than destroying them outright, as it had done in the past. All of this was unsurprisingly confusing to potential new readers, since Hal Jordan was still portrayed as Green Lantern on most DC Comics merchandise through the late 1990s and up until the 2001 Justice League animated series introduced John Stewart as the Green Lantern assigned to protect Earth. A second Green Lantern ring was introduced into the reality of the comics so that John Stewart could be a Green Lantern there as well, but this did little to appease those fans who were angered by Emerald Twilight. Many fans took exception to the idea that a straight-arrow, ex-military man like Hal Jordan could ever be pushed into betraying his fellow Corps members and killing them off of his own free will. This, coupled with an increasingly lackluster series of stories, caused sales on the monthly Green Lantern comic to drop steadily. 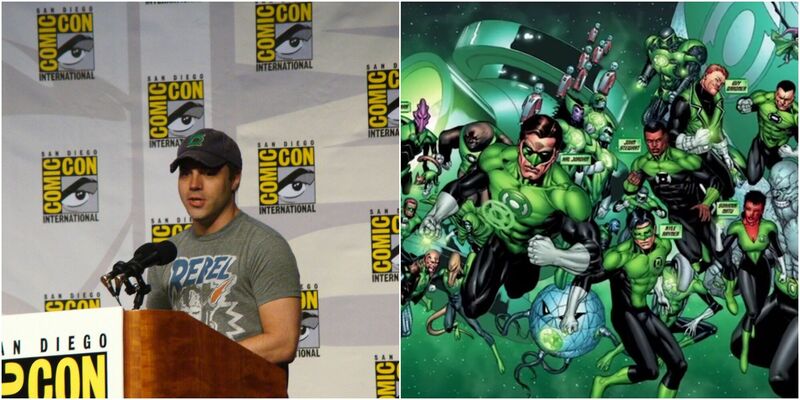 Enter Geoff Johns, who proposed a radical reinvention of the core Green Lantern concept in 2004. Johns’ story, Green Lantern: Rebirth, revealed that The Guardians had built the Central Power Battery on Oa to act as both a conduit for the collective willpower of all life in the universe and a prison for a parasitic being made of pure fear… a being known as Parallax! When it was discovered that Parallax could infect the minds of Green Lanterns and control them from a distance through the Central Power Battery, The Guardians attempted to combat this by recruiting only the most fearless and noble of souls as Green Lanterns. While this worked for a time, Parallax was eventually able to find a way to slowly work himself into the mind of a Green Lantern without them realizing it, taking control of them in a moment of great emotional stress. Green Lantern: Rebirth was brilliant for a number of reasons. It explained Hal Jordan’s past actions without excusing them completely, as Hal blamed himself for not being strong enough to resist Parallax’ manipulations. It explained both the Green Lanterns’ previous inability to use their rings on anything that was yellow and why The Guardians of the Universe recruited only the most fearless of sentient beings to join The Green Lantern Corps. 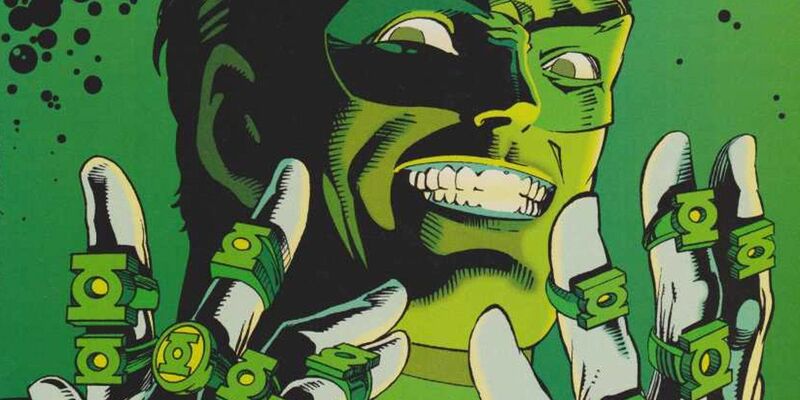 It also established the conceit of the Green Lanterns drawing off the balancing agent of an emotional electromagnetic spectrum, which Johns would later use in his run on the monthly Green Lantern comic to establish Sinestro’s trademark yellow-energy ring as being powered by Fear instead of Willpower, along with a host of other Lantern Corps empowered by other emotions like Hope or Rage. Unfortunately, neither version of Parallax – the corrupted Hal Jordan or the insectoid avatar of Fear Itself – was introduced into the reality of the 2011 Green Lantern movie. 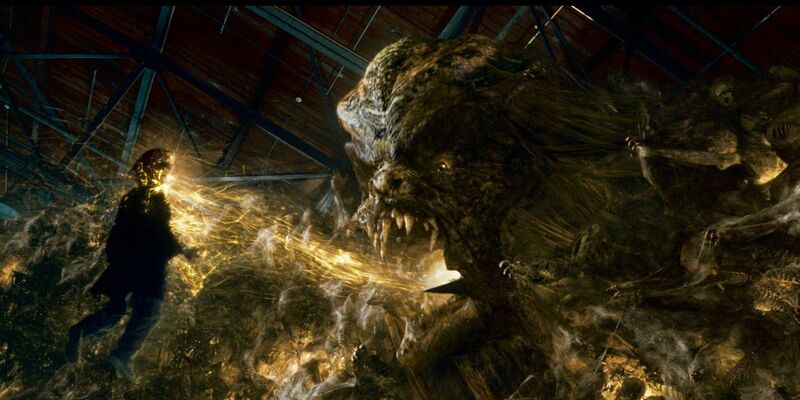 Instead, the film created its own version of Parallax to serve as the main antagonist of the movie. Somehow, this new Parallax managed to be even more confusing to comic book neophytes than the original characters from the comics, while simultaneously annoying Green Lantern fans with the seemingly arbitrary changes made to the character’s backstory. The film version of Parallax was originally a Guardian of the Universe, who felt that The Guardians should be using Fear as the source of energy for their fledgling intergalactic police force instead of Willpower. To prove the point, he exposed himself to the yellow energy of pure Fear. Unsurprisingly, this turned out to be a really bad idea, as the power of Fear transformed the unfortunate Guardian into a giant glowing space cloud with a giant head. This creature terrorized the universe, sucking the life force out of anyone who felt fear around it, until it was captured and contained by the Green Lantern Abin Sur. The Green Lantern movie had a number of flaws, but its handling of Parallax was one of its biggest. Ignoring the questions raised as to Abin Sur’s age and just when Parallax was created relative to the events of the movie, it beggared belief that a single Green Lantern (however good they were at their job) could possibly defeat a threat on the level of Parallax alone. It didn’t help matters that the design of Parallax was reminiscent of the cinematic version of Galactus from the equally horrendous Fantastic Four: Rise Of The Silver Surfer. In any event, it is generally agreed that the movie’s use of Parallax was a waste. Thankfully, the failure of the 2011 Green Lantern movie and its version of Parallax leaves the stage wide open for the basic idea of Emerald Twilight and either version of Parallax from the comics being used to establish a new foundation for the Green Lantern Corps movie. For all of the anger the story inspired among Green Lantern traditionalists, Emerald Twilight was successful in what it set out to accomplish. It simultaneously presented something never before seen in the world of DC Comics and managed to establish a new status quo for the Green Lantern series at the same time. Both of these are tasks that the new Green Lantern Corps movie will need to accomplish. In fact, with the status of the DCEU itself called into question in the wake of reports that Henry Cavill is quitting as Superman and Ben Affleck might not be able to continue as Batman, an Emerald Twilight movie might be just the thing to restart DC Comics’ shared cinematic multiverse. Such a thing had already been suggested for the upcoming Flashpoint movie, which is based upon the comic book storyline that established the current version of the DC Comics multiverse in 2011. Why not defy both expectations by having the Hal Jordan Parallax succeed in his mission in an Emerald Twilight movie and successfully create a better multiverse for everyone? The first proposed script for a Green Lantern Corps movie was a buddy cop comedy in space, with Hal Jordan and John Stewart as the main characters. Jordan would be presented as both a veteran and a maverick, with Stewart playing the rookie whose by-the-book approach clashes with the more unorthodox tactics favored by his partner. It should be noted that this approach would be true to the spirit of both characters in the current comic books. Later script treatments suggested that Hal Jordan would die partway through the movie, his noble sacrifice inspiring his partner to avenge him while affirming John Stewart’s worthiness to wear the ring. 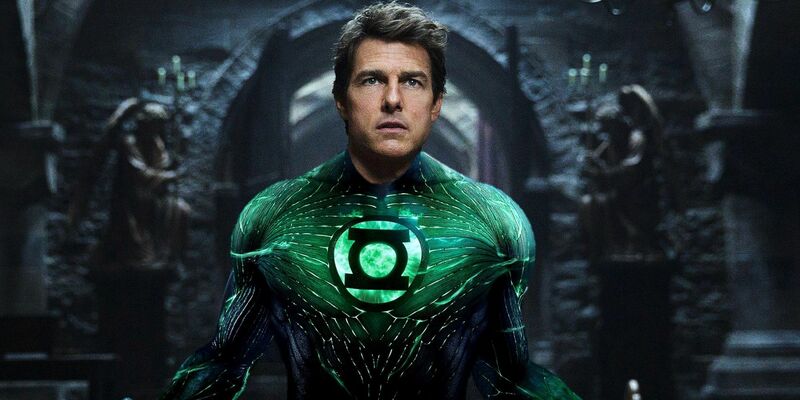 Apparently, this was a major point of contention with actor Tom Cruise, who was approached about playing the role of Hal Jordan. Cruise has long been a fan favorite to play the role, due to the character’s possession of a similar personality and background as Tom Cruise’s classic role in Top Gun. Unfortunately, Cruise reportedly wasn’t interested in playing the role unless he was guaranteed to live through the film. 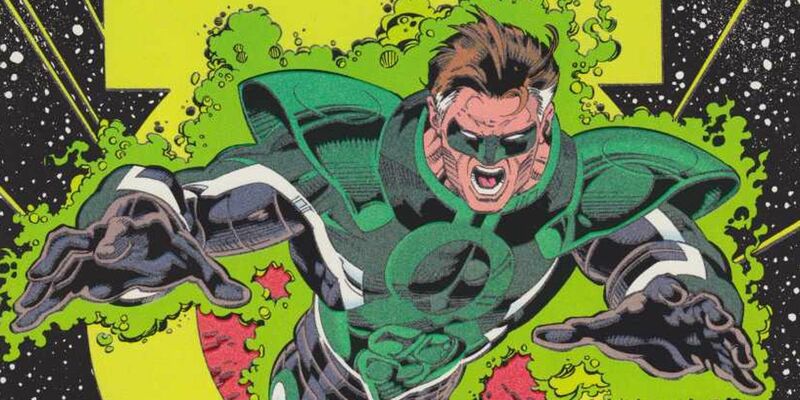 Adapting Emerald Twilight would address this issue, as the villain of the original script could be changed to a corrupted Hal Jordan transformed into Parallax. This would give John Stewart an entirely different challenge, as he must fight to reach his partner and free him from the corrupting influence of his own power or the fear-entity version of Parallax. This idea might also appeal to Cruise, given that he’s apparently fond of playing heroic men consumed by a corrupting power, as in Interview With The Vampire and The Mummy. Will Geoff Johns Adapt His Iconic Green Lantern Arc? At first the idea of adapting Emerald Twilight for the big screen doesn’t seem like something that would appeal to Geoff Johns. After a decade of writing the monthly Green Lantern comic book, Johns is seen by many as the definitive writer on the series, even ignoring how he created much of the current Green Lantern mythology. Yet most of what Johns created would never have come into existence without Emerald Twilight having come first to clear the playing-field. Given that, Johns could adapt the basic idea of Emerald Twilight as the starting point for his version of the Green Lantern Corps. He already did this to a minor degree in the comics, suggesting that the events of Emerald Twilight had occurred in a slightly different fashion within the compressed timeline of The New 52 reality. A cinematic adaptation of Emerald Twilight could finally allow Johns to tell his version of events in full. Then again, such steps may be unnecessary given how largely undefined the cosmic side of the DCEU is so far. Given Johns’ track record as a writer with DC Comics and as the company’s President and Chief Creative Officer over the past few years, it is safe to believe that he can be trusted with so momentous a task as developing an entirely new way of looking at a beloved franchise like the Green Lantern Corps. After all, he has already done it once before and could presumably find another way to manage that trick again. This does leave the question, however, of what role Emerald Twilight might play in Johns’ machinations, if any. Regardless, most are likely to agree that the future of the series on the silver screen is in good hands.